The symmetrical layout represents an implementation of the Fruchertman and Reingold force directed layout (with some modifications). 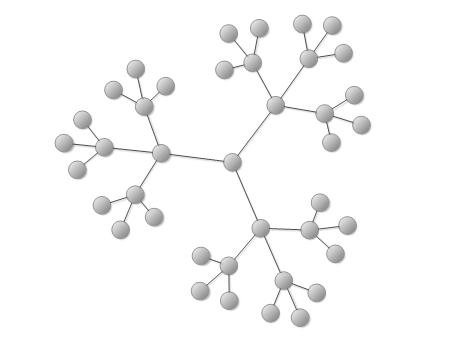 It uses attractive and repulsive forces, which aim to produce a drawing with uniform distance between each set of connected vertices. Because of that the drawing tends to be symmetrical.